A University of Adelaide PhD student has discovered a new species of wasp, named Xenomorph because of its gruesome parasitic lifecycle that echoes the predatory behaviour of the Alien movie franchise monster. The new species, Dolichogenidea xenomorph, injects its eggs into live caterpillars and the baby wasp larvae slowly eat the caterpillar from the inside out, bursting out once they have eaten their fill. The wasp larvae then change into adult wasps and continue the hunt for more caterpillars in which to lay their eggs. The wasp is one of three newly documented wasps that are parasitoids – parasites which must kill their host to complete their lifecycle. "Dolichogenidea xenomorph acts as a parasite in caterpillars in a similar way that the fictional Alien creature does in its human host," says lead researcher Erinn Fagan-Jeffries, PhD student in the University's School of Biological Sciences. "The wasp is also black and shiny like the alien, and has a couple of weird traits for the genus – so xenomorph, meaning 'strange form', fits really well." Parasitoid wasps are said to have inspired the creation of the Xenomorph alien in the movie franchise. In their natural environment, these wasps play important roles in regulating the populations of their insect hosts, and have been used in agricultural crops to control caterpillar pests. "At less than 5mm in length, Dolichogenidea xenomorph might seem to lack the punch of its fearsome namesake. But size is relative; to a host caterpillar, it's an awesome predator," Ms Fagan-Jeffries says. Dolichogenidea xenomorph has been collected from Queanbeyan, New South Wales and in southern Western Australia, but likely has a wider distribution across Australia. It has an extremely long ovipositor, a needle-like structure the female wasps use to inject their eggs into their host. The host of this species is a moth caterpillar that feeds on Eucalyptus leaves. Ms Fagan-Jeffries' research is supervised by Professor Andrew Austin, of the University's Australian Centre for Evolutionary Biology and Biodiversity, in collaboration with Professor Steven Cooper from the Centre and from the South Australian Museum. These three new species are among thousands more wasps in Australia still awaiting description and names. "We collected over 500 wasps from a particular subfamily, from all over Australia, and determined that there were more than 200 different species just in that relatively small number of specimens," says Professor Austin. "There are currently only 100 species described in this subfamily for Australia, so we've at least doubled the number of known species. It's important to document our biodiversity so that we can make informed conservation decisions about our environment. Some of these wasps may potentially be useful biological control agents for pests, but we just don't know about them yet." 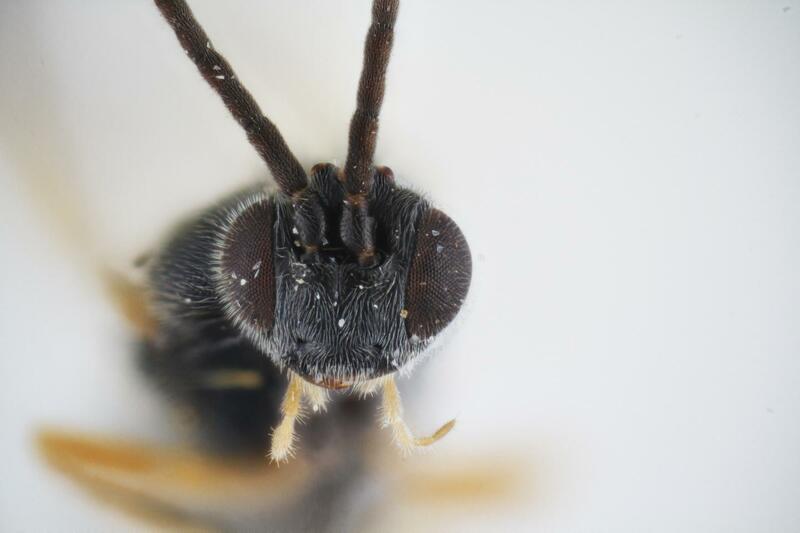 The three new species of wasp have been published in the Journal of Hymenoptera Research and the species discovery study has been published in Molecular Ecology Resources. Both studies were supported by The Australian Biological Resources Study.